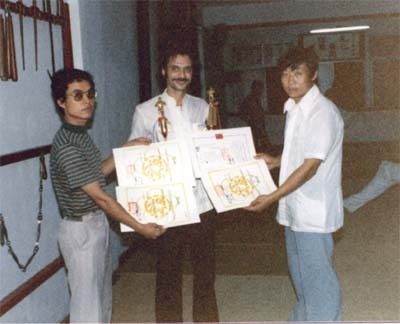 Grandmaster is seen after receiving certificates in Mei Jung Ch'uan. At right is Teacher Wu and at left is Master Li a Ching Na Master. From around 1980.